If you were to read an item of poker strategy before 2003, or even as little as four years ago, you would find a myriad of what can now only be described as "Hellmuth-esque" tactics for beating the game: play super-tight, value-bet well and time your (rare) bluffs wisely. Then a certain Tennessee accountant named Chris Moneymaker won the 2003 World Series of Poker and that all changed. People like Tom "durrrr" Dwan and Patrik Antonius championed a loose-aggressive style that exploited the tendencies of opponents no longer thought of as solid but now derogatively called “nits”. The rising popularity of six-max and heads-up games has also contributed to the world's best players playing more hands than the average – just look at old school players like Mike Matusow and Antonio Esfandiari who wait for premium hands and big implied odds on high stakes cash game shows like GSN's High Stakes Poker. They get mauled by the LAG (loose-aggressive) players on every single episode. The fact is that poker has evolved; the TAG (tight-aggressive) player of 2001 is outclassed by 21-year-old online players who open half their hands from the button and fire bets on all three streets to win as many pots as possible. It's up to you to keep up – take, for example, Phil Hellmuth's claims that Tom Dwan is simply lucky and won't be around in five years. Hellmuth is a great player in his own right, which I feel is a necessary justification to make when I say that Dwan plays at a level so over Hellmuth's head that the 11-time WSOP bracelet-winner has no idea what he is talking about. Of course, Hellmuth really shouldn't be complaining – in general, but especially about Dwan. Because he is such a popular poker personality, thousands try to emulate his style by spewing off chips with poor, ill-timed bluffs. 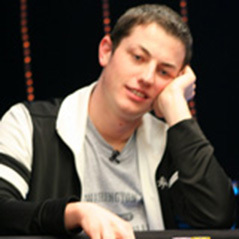 There are approximately one in 7 billion people who can play durrrr's range of seemingly any two cards and make it profitable; that one person is Tom Dwan. Nevertheless, thousands of people at micro- and small stakes attempt to replicate durrrr's TV bluffs and put their huge losses down to variance. Guys, at small stakes against bad players a 25 buy-in downswing isn't variance; it's you being a monkey. Most poker strategy now tells you to play tight, aggressive poker against poor players and let them put money in against the top of your range. Sorry, I don't buy that. I played a TAG game with excellent results but over the past year or so I've come to see that a LAG approach can yield even more profits even against fish who "can't be bluffed" – imagine I'm doing the rabbit ear air quotes there with a gurning, facetious expression. The main pro of employing a loose-aggressive style at these stakes is preparation – it's all well and good waiting for premium hands against morons and value-betting your way to a big winrate, but what happens when you move up in stakes? Suddenly there are good, aggressive regulars in your games and you've become a robotic and predictable player; you're lost in marginal spots; you fold too often. The looser pros will eat you alive. I believe that by playing a wider range of hands you become a better player in the long run. Anyone can play an over-pair post-flop but what about second pair with a backdoor flush draw? More hands mean more reliance on your ability to dissect an opponent's range which will improve your win-rate. Not only will you be able to value-bet the fish more thinly and accurately, you will walk all over the unthinking, robot TAGs that you used to avoid when you were one of them. Now, the drawback of this exploitative and thin value style of play is that you will suffer greater variance than you're used to if you just tighten up and wait for Hellmuth's Top 10 hands. This is because you're going to be constantly pushing to make your opponents fold and learning to truly “play the man, not the cards”. When you do that... well, they have hands sometimes and that can lead to you losing a big pot. You might decide that a check-raise bluff is the most profitable line to take on a dangerous river card since your opponent is likely to fold most hands except for sets – your ace-high can get top two pair to lay down here so you move in. Unfortunately, he has a set sometimes, just far less often than any other hand in his range. That doesn’t stop your play being profitable, which is the key point in the first step towards playing like a micro-durrrr. When you play tight-aggressive poker you tend to see the following trends in the graph of a winning player – a very high showdown winnings line and a negative non-showdown winnings line. This is because they bluff rarely and tend to avoid showdown without the top of their range, which leads to them grinding out a small to medium profit with only a few hiccoughs in the line of their graph. A loose-aggressive player, on the other hand, will have a lower showdown line but a break-even or even positive non-showdown line. At the very least, it will be less in the red than a TAG player’s non-showdown winnings. This is because they are winning more pots without showdown (obviously) which naturally causes showdown winnings to drop when their bluffs are called on occasion, though a savvy LAG (what a great conglomeration of poker terms, say that out loud and tell me it doesn’t sound fantastic) can keep their showdown winnings up by improving their hand-reading abilities. That also helps out with the other con of the LAG graph: it looks like a cardiac arrest as the winnings increase rather than a straight line; you will have a higher win-rate overall, though. Having spent almost a thousand words proclaiming loose play to be the be all and end all’s knees it seems somewhat contradictory to say that you should still be folding more often than not. A player’s VPIP (Voluntarily Put $ In the Pot) and PFR (Pre-Flop Raise) indicate this better than I can. A typical tight-aggressive player in a 6-max game will probably have a VPIP/PFR of something like 25/22. From early position they play medium pairs and up, K-Q, A-K-A-J, then open up to include more Broadway cards, suited aces and connectors towards the button. Loosen up! A LAG player looks more like 35/30, opening all pairs, Broadway cards and suited aces from under the gun, then adding lots of suited connectors, off-suit connectors, gappers and aces into their range until in the cut-off and button almost any two will do. That sounds like a lot but look at the statistics – you’re still folding pretty much two out of every three hands. It’s easy to get carried away and raise up 76o under the gun but until you can read and adjust to players like durrrr or Ivey, keep the VPIP under 40 at least and limit your UTG raising range - furthermore, be prepared to fold all but premium hands against a 3-bet. When you raise before the flop you’re trying to win the pot. When you continuation bet you’re trying to win the pot. So why give up if you’re called? When I played full ring games and nitted it up to wait for good spots, I would continuation bet often, double barrel rarely and usually have lost the pot by the river if my opponent still called. It works in the long run, but you’re leaving money in the pot and why on earth would you want to do that? There are so many spots where you have the worst hand but can so easily win. If you have air, you’re beaten by bottom pair but bottom pair won’t call a river bet. Few hands can stand up to a barrage of bets – if you hold 9h8h on a 9-5-4 board you’re confidently calling a continuation bet, but when you get check-raised on the turn what then? That’s the kind of spot you want to put your opponents into – exploit scary cards like overcards and draw completers, learn when someone is betting the river and folding to a raise, don’t be afraid to put your opponents to the test by risking your stack. In the most basic form this means playing differently against different types of opponent. If a player has a huge WtSD (Went to ShowDown) percentage then you’re not going to bluff the river so often; if someone folds to 3-bets a lot you’re going to 3-bet them a lot. But it also means changing your play according to their perception of you. At the highest levels of poker the dynamics of the game change each time a player reaches showdown – everyone at the table sees a hand played and thinks about how that affects the image of the players involved, while the players who showed their hands have to think about how their image is affected and how to exploit that. At these stakes, you don’t have to worry. Very few people will be watching hands they aren’t involved in – even good players can succumb to the distractions of TV or Facebook, though that’s not to say that showing down a bluff won’t make another solid player at your table give your bets less respect. However, one person who will notice when you show a bluff or take a strange line with an unusual hand is the player in the pot with you. Say you raise the button with 6d5c and the BB 3-bets; you call with big stacks behind in position. If the BB is 3-betting for value and this hand goes to showdown, then your play against this opponent can be affected in a number of ways. If the BB is a good player, he realises you call with a wide range in position and will stack off lighter in 3-bet pots, meaning you have to adjust by tightening your 3-bet calling range. If he is a bad player then he simply thinks “OMG wot a donk he called wiv 65o” and you have to bluff less against him. Slow-playing is a technique that should be used sparingly at the best of times, but if you want to truly loosen up your game and make it profitable you should never, ever do it. Ever. Even if you flop the joint on a board with no scare cards (something like K-K on K-8-3 rainbow in a 3-bet pot) then bet your hand. If you’re playing LAG then you float and raise constantly on dry boards; they’re your bread and butter. You can’t check and call when you flop big because that’s just pathetically transparent. Sure, it’s frustrating when you only win a few BBs with that rare flopped full house, but poker is a game of small edges and the LAG style incorporates small ball strategy to pick up lots of small pots. It’s how you make your money, the big pots go either way, they're out of your control and are the main reason for that recent downswing. So don’t try to get tricky with your big hands – play them like you bluff; bet, bet, bet and hope that this time they decide to play back at you instead of folding. Nothing is more irritating to a tight-aggressive player than an apparent “maniac” who always has the nuts when you decide to re-bluff him. That’s the kind of image you ideally want to portray as a loose-aggressive regular. One thing that I have been doing recently – and with fantastic results – in order to improve my 6-max cash game (in fact, improve my poker game in general) is playing a lot of heads-up games. Earlier I stated that playing more hands improves your game – well, you play three-quarters of your hands at least when you take someone on one-on-one. When you play heads-up you get in all kinds of crazy situations that are applicable to 6-max. Since you’re aiming to raise to isolate pre-flop, often a lot of 6-max pots you play wind up heads-up anyway, so all that practise you had playing 200+ hands per hour of heads-up play comes in handy. I’ve had great fun playing really challenging games of heads-up across four tables and feeling as balla as durrrr himself. Of course, many regs won’t give you action if you give the slightest inclination that you’re a bit good; some won’t play me at all even though we’ve never played. Still, seek out the games and they are there. If you want to maintain a win-rate with a small edge, high-variance style, then you need to be constantly ironing out wrinkles in your game. Spend time on forums, watching coaching videos and discussing hands. You need to squeeze out every fraction of a big blind to increase your win-rate which means striving to improve your game. Practice makes perfect; perfect makes millions.